The documentary, A Call for Freedom, was submitted to the Chicago/Midwest Emmy Chapter and received five nominations. Pastor Lutzer, along with the team from Four:2 Media, attended the gala event Saturday evening in Chicago though they were skeptical about winning any awards. After all, they were up against six other documentaries, including one about the Chicago Cubs, and a story about World War I. 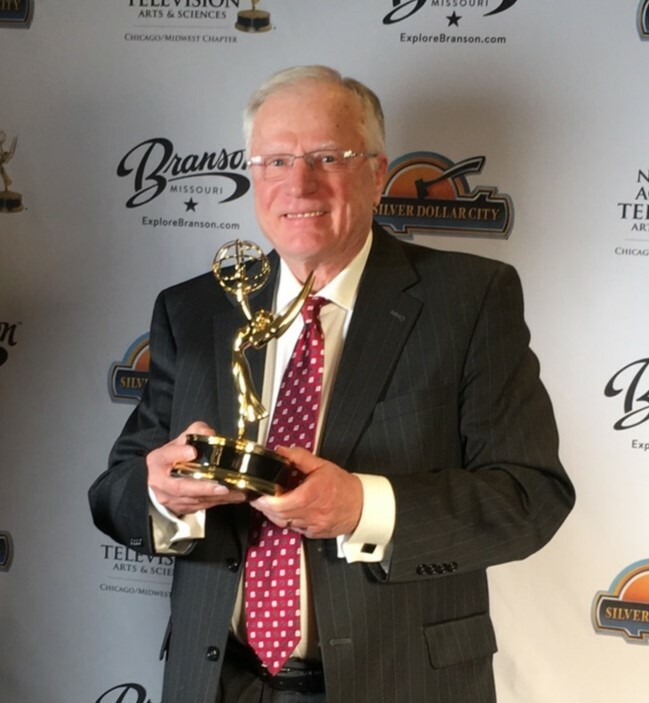 To their surprise, A Call for Freedom was awarded three Emmys: Outstanding Achievement for Documentary Programs (Historical) for which Pastor Lutzer, as one of the Executive Producers, received an award. Emmys were also received for Outstanding Crafts Achievement Off-Air: Editor (Program) and Outstanding Crafts Achievement Off-Air (Lighting). Most interesting is the video clip (below) that was shown as the team walked onto the stage for their award. It featured Pastor Lutzer saying, “He [Martin Luther] discovered that salvation is a gift to all who believe. You become your own priest before God; you don’t need the pope. What you need is a personal relationship with God. And that changed everything!” These words were heard by approximately 1,000 people in attendance from various top news organizations. Much of this documentary was shot on location in Germany. It is not a dry history lesson, but the story of a life, the story of conflict, and the story of what the Gospel is and what it can do in the lives of individuals. A Call for Freedom. Sit back and enjoy it— then pass it along to your friends. They need to hear this story, too!